While trying to answer the question of who I am, right here right now, I want to look for the missing pieces. There is a body. A marvellous piece of equipment. Everything is there. It can stand old age. Try to find a vintage car my age, nearly 5 decades old, that has been driving 16 hours a day, and still functions at 90% of its best days. There is a nervous system that controls this body. There is movement or action: output, and there are sensations: input. This nervous system has a concentrated spine, ending in the head in a brain. 2. this brain is responsible for emotions. A rudimentary but highly efficient system to interact with the world. There are facial and body expressions connected to it, moods, and hormones. 3. there is an entire internet in my brain. Not just one computer. Millions of them. And like google, input generates thoughts, opinions, logic and reasoning, interpretation, and storage in memory. 4. intermediary output, thoughts, opinions and results can be reused as input again, creating data-pipes in this brain. Data-pipes can give rise to the mind turning in circles. This entire system and perhaps some missing pieces, bring forward my consciousness. There is an operator directing body and brain. It works with desires. Any desire can be brought under the operator’s attention and he will be scrutinize the desire. If considered appropriate, the desire will be acted upon. We call this (free?) will, what kind of thing is this free will? There is an interrupt. A magic doorbell. An awareness. It can stop the endless data-pipes creating circular thinking and enhancing the emotions. With one push on the doorbell button, the entire data-pipe can be brought to a halt. It looks a lot like sneezing. A reboot of brain. What kind of thing is this doorbell? Is it related to will? Is it related to being startled when we see/hear/sense something very beautiful or ugly? Is it related to sneezing? There is some strange long distance connector. It tells me that someone is going to phone right now, and that I shouldn’t get into the car yet. I wait 2 minutes and the person that came to mind is on the other side of the phone. 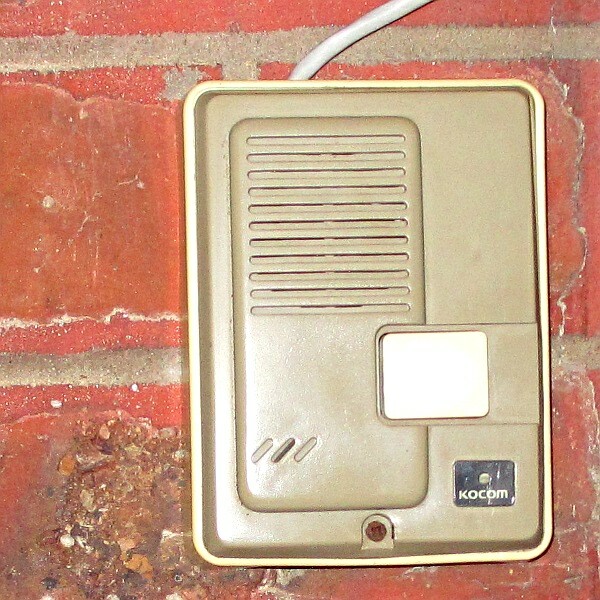 This long distance connector is directly connected to the doorbell. All these things give rise to consciousness. But now there is something very strange going on. Consciousness is not continuous. Every night my consciousness is switched off. Not by free will, but by the body and the brain. Free will can counteract but not indefinitely, until it is switched off itself. Is consciousness the holon of all the components? And why is it switched off every night? Most other functions still operate, except free will, and the internet inside my head, they are both dead. My senses work, but are neglected by the most of the internet inside my head. The body is paralysed to prevent it acting with the controllers still operative. Emotions come to a stand still. The doorbell still works. It wakes me up every morning. Usually just before the alarm goes off. And it wakes up the internet inside my head, every 90 minutes to give me dreams. The long distance connector also works, and has the capacity to ask the doorbell to wake me up drowsily for urgent matters. Not being able to sleep is often caused by mind turning in circles – interconnected with emotions feeding the mind. So switching off the internet inside my head, and my system of free will is enough to switch off consciousness. Except for Mister Doorbell who can switch both, and consciousness, back on. Who or what is that interrupt/doorbell? And am I only an operator acting on desires and calling it free will and being switched off every night without my permission? Am I the doorbell + the long distance connector + the operator? Is this operator really part of who I am, or is it part of who I think I am? This entry was posted in awareness, consciousness, experience, mind, psychology and tagged 'free will', awareness, body, brain, consciousness, desire, doorbell, emotions, experience, hormones, mind, operator, psychology, sensation, will. Bookmark the permalink. ‘Every night my consciousness is switched off’ – really? Is it not just memory that switches off? If there was no consciousness in sleep, how would the mind be ‘with knowledge’ of the alarm clock when it first rang and began to wake you up? With gratitude for your blog and respect for its content Bert, Hariod Brawn. not only memory, also thought, opinion, reason-logic, conceptual categorizing all cease … that is the mental realm // emotional realm seems to also go to sleep, when they don’t keep us conscious. The physical body doesn’t seem to shut down, neither does the ‘unconscious’ nervous system. I think I was talking about this kind of consciousness, one and a half year ago, when I wrote the post. If consciousness exists independently of the physical world, then a kind of metaphysics must exist, and when not, metaphysics is nothing but a waste of time. Bert – it’s an obvious question, so please excuse me, but does what you call ‘consciousness’ switch off when you’re dreaming in sleep? As to the question of whether this ‘consciousness’ exists independently of the physical world or does not, then perhaps there is a third option as an answer? It’s a paradoxical one of course, but maybe it’s valid nonetheless. I wonder if this is what you are pointing to when you say ‘ . . . both yes and no remain equally possible but never split . . .’ If so, then we have common ground. In this article, I assume consciousness to be mental consciousness. It is one of my early articles on the subject. I see that mental system as a ‘google in my head’. Of course consciousness is more than just that. A dream state is ‘the-googlein-my-head’ without an operator left free to do what it wants, “youtubing” and switching off when I get conscious about it. There are those rare events when I can steer the dream when it becomes a lucid dream. Who/What is consciousness? the operator steering, or the mental-google-machine producing options in an [I’m feeling lucky] way? Most people barely use the operator to steer that machine, and follow its options, habits and desires. But that operator also resides somewhere in the physical brain, at least, the thinking part of it. The interrupt, the pointer of our awareness, is probably also resident in that physical brain, like when the alarm goes off, (or just before when our biological clock warns for the dreadful sound coming). And then there is our identity, a record, a concept, static pointing to a past already gone, and adapted, when more past accumulates, also residing in the mental systems. … the world of the paradox belongs to the mental systems. Beyond reason the paradox disappears. Many thanks for explaining your thinking here Bert – I appreciate it. I guess that by ‘mental consciousness’, you mean the reflexive representation that the mind makes of selected aspects of sensory data. Then again, maybe you don’t . . . I also guess that the ‘operator’ is by and large the mental process of volition – which of course is attributed to a notional ‘self’. The again, maybe you don’t . . .
‘ . . . the world of the paradox belongs to the mental systems.’ Agreed, of course this can only be the case. So the paradox obtains only as the mind attempts to represent what cannot be represented i.e. my ‘third option’. I guess we’re done on this one Bert, and may I thank you for having the good grace to tolerate my questions and reflections. When mulling over the generous act of a friend and the parlous state of collective human psyche, the collective human mentality, in the world today, the thought came to me that meritorious acts are as rare as amber cast up on a vast pebbly beach. That is the conclusion if you have experienced. This is what Nisargadatta and Krishnamurti could talk about to each other. Both know the language and the experience. But someone who hasn’t ever tasted a potato will never know what we talk about when we call it a potato. The seat of will (distinct from instinct) is actually found in the solar plexus, hence the colloquialism, ‘ gut feel ‘. The brain is simply a receiving / transmission (decoding) device. Putting aside assumed epicurean indulgence causations; when one is sincerely and earnestly pushing the boundaries of identity through thought one is, in effect, unplugging (seeing through) this quasi-self identification and it can be unsettling. The question, ‘ What actually is a potato ? ‘ may be of service. Quantum science, particle theory, wave theory, quarks, Higgs Bosom will assist you in that. Unless, of course, you already Know …… heart. The mind has realized since mid december that it is never going to really ‘know’. The brain is finally understanding what the terminology awareness, mindfulness, metacognition really means, and is quite angry about that: “why didn’t anybody tell me this”. I’ve never been a hero in ‘sitting’ but I see now that I’ve been meditating for the past 9 or 10 years. Whenever there was a gap of time. The silences are longer, I’m getting used to them. But I also realize that I’m fooling myself often too. This article (whoisbert3) is written entirely from the mind. The previous (love_an_emotion) came from the heart. The mind is very strong. It doesn’t like the terminology ‘popped’. But self is realizing that the mind is only past tense, and never the present progressing. Self is wondering whether it exists at all. Self does not believe in rainbows and mirages – it can only see them. Ironically it is only a strong will that has the capacity to see through itself. It doesn’t like the terminology ‘ popping ‘ because there is nothing initially in Self-realization for will. The mind is not getting angry; there is a feeling of anger because there is a deeper recognition in you emerging that you have been hood-winked. If you have an established meditation practice then use it to meet this anger with attention. It is necessary to experience this anger fully and this can be done in solitude through the use of attention. In this way it will neither be repressed or acted out unconsciously. It must, however, be met, and attention to it in meditation works. This is not a fluffy-cloud practice. In time, you will find this anger transforms into sadness. Sadness is the underpinning of all anger. It is the primary emotional response in the body to the experience of separation. The same meditation practice applied to the feeling of sadness will result in the first direct experience of Self. In That, the invitation has been accepted and the adventure begins. Until this work is done most all talk of spirituality is child’s play. Is it related that my stomach has been hurting since yesterday ?!? I do know the experience as an indication of awakening. Thank you for letting me read this wonderful article. But it doesn’t tell me what mindfulness is in ordinary words. I’m a teacher, and a student told me last year that he had already studied the subject I was teaching from two other teachers and self study, but that he never had seen a more practical approach before. I try to find a practical approach to consciousness, mind, meditation, emptiness, mindfulness, absolute reality, and I would like to bring it in a language that people understand. That means that I first have to experience all these things myself. And point the attention to the reader that no experience is esoteric. We are being in the flow very often, all of us, and we know mind silence, all of us. But nobody ever pointed to the sky and showed us at that right moment that ‘this is it – nothing more – just this, now go back to work’. I remember distinctly from my own pursuit of these topics that altered states of consciousness were actually defined as having several characteristics, one of which, “the sense of the ineffable.” They were defined by the fact that words inadequately described many of the states. Now I am not sure that you are talking about altered states of consciousness or all consciousness or both but it might seem to be a roadblock here. I totally get what you are trying to do and it is admirable. You are a teacher on many levels. You may succeed. And I am not being patronizing here. Not at all. You are a master of analogy and may very well be able to find a paradigm to explain “consciousness, mind, meditation, emptiness, mindfulness, absolute reality.” I was trying to link the states to patterns of brain waves and stimulation and didn’t have the scientific background to do so, nor the capabilities to hold in my mind all the variables. But you have an abstract mind and can deal with concepts so perhaps you will find a way. I wish you well and wish you every success in doing so. thank you for your encouragements. I’m blushing. To me mindfullness is not an altered state. samadhi is an altered state, so is being drunk, or being asleep, or dreaming, but the latter three most people can relate to. That led Huxley and Groff to experiments on hallucinogens, cause some states are very much similar to trips. Original people have invented a language that later on has been abused so much, that the original message has left. I know, because I have searched for years on these things, and then found that I had been meditating for a very long time, without realizing I was meditating. Nobody ever told me that re-chewing your thoughts is meditation. So we have to start when explaining things with a dictionary. I think I’m trying to do that right now. But I still have no idea what mindfulness really is. Neither does my teacher and friend who has been studying philosophy for about 20 years. 🙂 So when we want to explain something, and there is no common ground so that even the most basic things like meditation are unknown, we have a problem. Definitely we have a problem. And another part of the problem is that there are so many variables at play here. The psychological, the religious if you will, the physiological, the conceptual, the linguistic and probably a lot more– come to play here in this mindfulness thing. I asked a few questions to fellow bloggers, and reblogged one of their articles. You raise some mind blowing questions there Mr. Bert. I’d have to read this at least 5 times to be able to try to give my take on your wonders! But, I shall. If you don’t hear from me again, it didn’t work. Great piece!! Like Data from Star Trek contemplating what human existence is about! I believe the subconscious to be a tremendous part of our life. It pretty much runs things when we are asleep and has tremendous influence when we are awake. I think the subconscious has many areas we refuse to see. Somehow I think our entire past is hiding there. In this description it is the largest part of the internet in your head. The brain is the mechanism that links an individual’s inherent “intelligence”, the sum total of previous experience and acquired knowledge, to that individual’s Earthly experience. It can be likened to a transformer linking an electrical device to a power grid. It is ‘mechanical’. Therefore, to study the mechanism to the exclusion of the designer60 is like studying the functioning of a vehicle in traffic without including the functioning of the driver. But who is the driver? What is left? Do you think whether the ‘doorbell’ is the driver? Or is there even less than that? I’m curious about how you characterize dreams in this system and all the brain activity that happens while you are sleeping? And also, lucid dreaming and dream yoga (which perhaps could be understood as the ability to ring the doorbell at will, while remaining asleep)? Well, in this crazy system I put in this post, it is the interrupt that wakes up the internet in my head every 90 minutes to have REM-sleep and dreams. Memory is not working during dreams, and neither is meta-cognition. But the interrupt is always there, so it could be the clue to lucid dreaming. Some people can train their consciousness during sleep. This could be the doorbell, but I have no idea, since this does not come from my own experience (yet). A huge power is seated in the doorbell, although we don’t see it as such in our daily life. If my doorbell, and for that matter everyone’s doorbell, is that thing that is talked about as ‘awareness’ (and it probably is) then you and I are perhaps talking about the same things. What if we’re just observers? The doorbell is a kind of observer. We are usually not so aware of its existence, but it interrupts us when we are not doing what we are supposed to do. It doesn’t pop out of existence in the night. But it is more elusive than the internet in our head. I know nothing, just put some ideas here and I’m not even sure about many of them. So you might be correct, but seeing from the make up of your sentence, you are not very sure about it either. Thank you. However, being close to the edge of the capabilities of mind, there is a (be it funny) result: i’m nothing more but a doorbell and a long distance connector. Translated: awareness and interconnectedness. You’ve got a monitor, hard drive, processor, mouse, keyboard, scanner, printer, modem, etc… then you have the software that provides a myriad of functions, then you’ve got the ‘operator’… the one who makes it work in unison to perform a variety of tasks. that One (you call her creator)might be the same as the long-distance connector, the doorbell and consciousness at the same time … I don’t think that I can stretch my mind any further on this. Time for contemplation. We all exist. Even in cyberspace. We are all real. But we are not what we usually think we are, we are not the image of our past memory (job, relationships, status, cv …). We are something completely different. This is not a final post, but just an intermediary result. But I know that I am not my past memory, and not the internet in my head, and probably not my body either. It’s like I am renting it for as long as it lasts. I don’t want to touch metaphysics – they are preconceived ideas from many others. Somehow, the only thing remaining is not even the operator controlling the desires, but the doorbell, the awareness of being itself, and its connector to the outside world. I cannot be more than that. ‘ What am I ? ‘ really and I mean really ! ‘ Where am I ? ‘ in time, really. ‘ Where am I ? in space, really. I repeat my previous comment … perhaps I will find that I am indeed nothing. If you do then you will also find that you are everything. Paradox to the mind, opening to the heart. I cannot touch the river. I want to dig deep, as deep as I can. I know poetry is an answer, but I’m trying to test the boundaries of reasoning on my own existence. I know that my mind cannot know what is beyond it, but still I try. I try to find out what I am not. And perhaps I will find that I am indeed nothing. like life. you have a pound of meat or flour and it is without life. Yet we cannot measure that property and how it differs from lifeless mass. Good luck with your digging, enjoy the thoughts and I think you matter, and are more than nothing.